Can you help me identify the make, model,year of the motorcycle? This is an old photo from the family album. 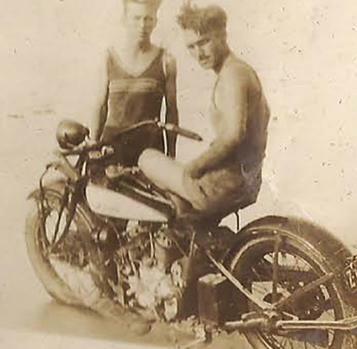 The picture was made at Folly Beach, South Carolina in 1934 if the tag on the motorcycle was current. I would like to know the year, model, and make of the motorcyle.